Relocating or expanding your business can be a daunting, stressful, and time-consuming process. Your focus is frequently shifted away from your core business as you juggle financial, real estate, design, and construction concerns. Don’t worry, you can reduce your stress level and save time and money by completing an early financial assessment, assembling a team of experts, and documenting your needs into a comprehensive Owner’s Program. Before you begin searching for real estate to buy or lease, consider the following recommendations for a seamless expansion or relocation. What will it cost to relocate? Your entire financial picture encompasses many considerations. A skilled accountant can be your best source for understanding the effect that loans, lease payments, and your projected operating expenses will have upon your balance sheet, income statement, and cash flow. In addition, your accountant can explain the personal, corporate, and property tax implications of moving or expanding. Be prepared to discuss whether new construction, a building purchase, or leasing space is best when considering your short-term and long-term goals. You may also want to discuss depreciation strategies such as cost segregation. Should you need a loan, it pays to have a seasoned banker on your team. You need someone that’s an expert on how to structure your loan, meet your goals, and get your loan approved. Experience matters when evaluating your financial statements and giving advice regarding equity requirements and debt structure. Consult your current banking institution first, as they will be most familiar with your financial situation. When choosing a bank, focus on more than just the interest rate. Consider the bank’s reputation, commitment to your specific market, equity injection requirements, closing fees, and the overall banking commitment they require. Remember, most lenders are interested in the five “C”’s; capital, cash flow, collateral, credit, and character. And be aware that qualifying for a loan today takes longer, requires more documentation, and typically more up-front cash. For more on securing a loan click here. Many believe that the “best” price is the lowest price. In reality, the quality of experts you consult will determine the amount of time and money you save and amount of financial and legal risk you reduce. When selecting your team of experts, evaluate their experience, contact their references, and discuss their commitment to your project. A team of skilled professionals who understand your needs, who have industry specific knowledge, and who can share their knowledge in a team environment can save you more money than creating a bidding war for your business. Select a real estate professional, a design and construction team, and a legal advisor who are willing to work in a team environment. Once you have selected your team, it is important to trust your team members, empower them to find solutions, provide them proper compensation, and respect their intellectual property. Perhaps you know the difference between a modified gross, full service, or triple-net lease, but do you know the market rate for land or lease space in a specific market? Do you have access to two or more multiple listing services? What is your time worth? How long will it take you to assemble the information necessary to make a prudent decision? Unless you are an expert on land development, commercial leasing, and real estate purchases, and you have a lot of time on your hands, you are going to need a real estate professional on your team. Your real estate professional should be familiar with local market conditions and have transaction specific experience in leasing, land development/construction, or building purchases. Industry specific experience such as industrial, medical, retail, or religious properties is also essential; after all, purchasing a worship center isn’t the same as leasing white boxed retail space in a lifestyle center. Your real estate agent can locate property more quickly, will know the market rate and current market conditions, and can use that information to help you negotiate the best deal. If you are serious about saving time and money and you want to reduce risk, involve an architect or design/builder in the development of your Owner’s Program and consult them during the site selection process. Your development team should consist of a registered architect, certified professional estimator, and a construction project manager. A skilled development team can provide more than just floor plans, elevations, and an estimate. They can help you understand the opportunities, limitations, risks, and costs associated with new construction, renovation, or tenant improvements at a specific site. 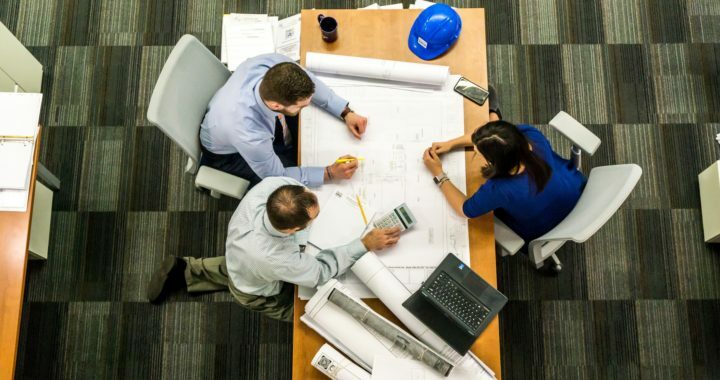 In addition, your team will know what questions to ask and who to consult for answers regarding issues outside their expertise such as civil and structural engineering, HVAC design, or environmental issues. As a decision maker, you need to know the overall project cost, what restrictions exist, and how long it will take to get answers or approvals before you buy or lease the real estate. If you are planning a construction or renovation project, or you plan on changing a building’s use, there are many factors that can have a dramatic effect upon the overall project cost. For example, the size and location of utilities such as electrical, water, sanitary, and gas service can affect the overall project cost and consequently the project viability. Building code restrictions such as ADA compliance, the building classification, and the occupancy are just a few considerations your development team should review. In addition, zoning codes that regulate the building’s use and control the exterior materials, parking, and setbacks, need to be reviewed. Projects that involve land acquisition for new construction can be complex and involve a high level of risk. For more information about the factors that affect total project cost for new construction, click here. For more information about buying existing buildings, click here. Clearly, the purchase price or lease rate is just one factor when considering a relocation or expansion. It pays to have a development team perform an early assessment of the overall project feasibility. In addition, you will find your team’s relationships with local economic development, zoning, and building officials invaluable as you seek incentives and navigate through the zoning and plan review processes. The learning curve is steep, and what you don’t know can cost you time and money. Projects have varying degrees of financial and legal risk. Consult an attorney to negotiate the legal terms of your lease or purchase contract and have them draft specific language to address the legal risks of the specific transaction. You may also find it prudent to have your attorney review your agreements with architects, contractors, or design/builders. Create your Owner’s Program after consulting key members of your operation along with your team of experts. Industry specific suppliers of specialty equipment such as bridge cranes, medical equipment, process piping, or kitchen equipment can also provide valuable insight when developing your Owner’s Program. Completing a financial assessment, clearly defining your Owner’s Program, then sharing it with your team of experts, will reduce your stress level. By investing a minimal amount of time and money with your experts up front, you will receive qualified information that will help you make prudent buying, leasing, design, and construction decisions. How, specifically, is creating an Owner’s Program and organizing a skilled development team going to save you money? Assume for a moment you plan to lease 10,000 SF of office space and you are considering three potential buildings. Each of the buildings can accommodate a 5,000 to 20,000 SF user. All three buildings are shaped differently and constructed differently. A variance of up to 500 usable square feet is common even if all three spaces are designed efficiently using the same Owner’s Program. The location of utilities, hallways, common areas, and the general shape of the building, can create inefficiencies that require additional square footage to accommodate the same Owner’s Program. Further, a variance of $5 per square foot in the build-out costs is common when comparing the three buildings because they are constructed differently. If all three buildings lease for $10/ SF, consider the construction cost difference and total lease payment difference between Building A, Building B, and Building C.
Leasing Building C is $50,000 less than Building A over the life of the lease. In addition, you could save $74,750 in construction costs by selecting Building C instead of Building A. There may be further cost savings realized from reduced utility usage. As you can see, by preparing a written Owner’s Program and having an architect, a certified professional estimator, and contractor assess the site, you can receive pertinent information about locations you are analyzing prior to a lease or purchase commitment. Armed with this information, your real estate professional can negotiate aggressively on your behalf to get you the best deal. Make your investment of time and money pay off. Keep your focus on your core business while your team of experts addresses your relocation, expansion, and construction concerns. The results will be a more effective decision-making process and a seamless move into your new location. Good luck! ← Construction Delivery Methods Explained!